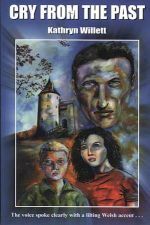 An entertaining novel about a brother and sister from the present who find themselves caught up in an adventure as they attempt to clear the name of a wrongfully jailed miner from the past, while a vacation with their grandparents near Caerffili; for 7-11 year- old readers. 6 black-and-white illustrations. A Welsh version is available.